CL + Miny’s New Duet Made In Secrecy! Fans will be able to purchase the single album on 7th September. The song will also be included in 2NE1’s new album scheduled for October. 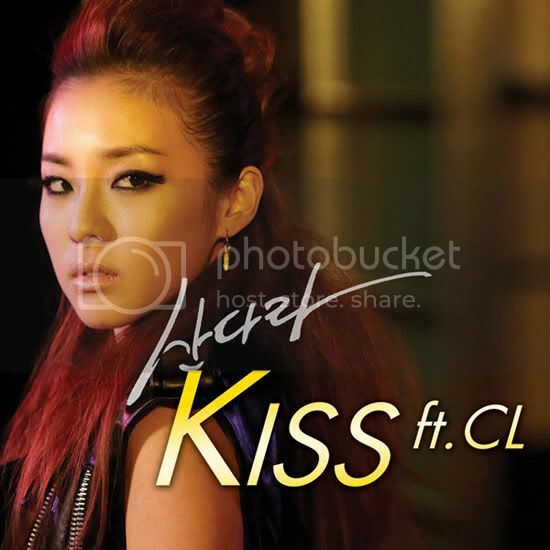 Dara’s upcoming single is titled “Kiss” and will feature fellow 2NE1 member and leader, CL. No news about Minzy was available, but YG has said that solo works for Park Bom and CL are currently being prepared, so watch out for that. 10asia (10): How did you learn to dance, Minzy? Even before your debut, your video was a subject of conversation. Minzy: I really enjoyed dancing when I was young. I used to watch and copy the dance to YG Family’s “Fly Gentleman” music video. I learned more and more about hip-hop that way. In elementary school, I even attended a dance academy. I learned hip-hop dance first. 10: It’s beyond the level of being possible simply from learning it. Minzy: I kept practicing how to freestyle dance. I practiced freestyle constantly for two years. When I went into the practice room, I’d just turn on the music and dance. When I dance like that, I don’t even know how I’m doing it. Bom: She can make new moves when listening to music to the point that I’m awed. 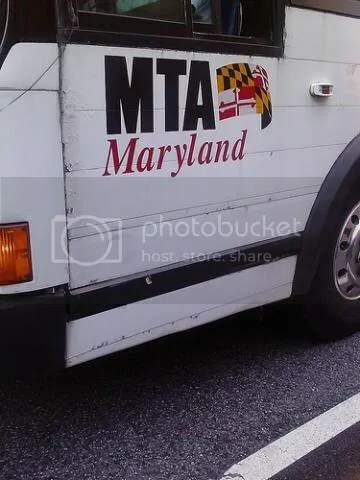 I’m surprised everytime I see it. 10: Did you directly make the chest-popping move in “Fire”? Minzy: It came out as an ad lib while filming the music video and it was included. 10: Music videos must reflect your personal opinions a lot. CL: Director Seo Hyun Seung has worked on our videos since “Fire” so we have a very good mutual understanding. 10: G-Dragon appears in the music video too. CL: He appeared for just a moment when he came to visit, but that was included. 10: You met like that to film the music video, and the debut was decided. How did you feel when you went up on stage for the first time? CL: It was really chaotic because President [Yang], Teddy sunbae, G-Dragon and Daesung sunbaes came that day, but I felt really secure. We said, “Let’s play!” like usual and went up. 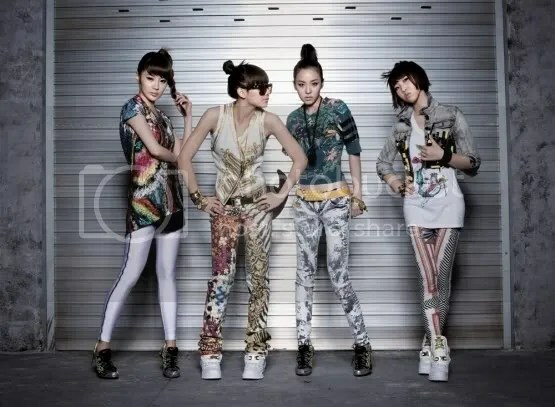 10: Is there a specific moment following your debut when you thought, “We’ve really become 2ne1″? Bom: I get that feeling a lot when watching 2ne1 TV. CL: It seems pretty natural because we’ve been together for years, although we just recently became a group. 10asia (10): As soon as “I Don’t Care” was released, the response was very favourable. CL: Our practice time is getting longer [nowadays]. We’re focusing on practice because we figured expectations be raised after “I Don’t Care”. 10: It is known that even during your activities [following a release], there’s a lot of rehearsal time and not many stage schedules. Don’t you want to do more [public] activities? CL: We’re still lacking in practice time. Because we spent several years only in a practice room, it feels odd if we don’t practice. CL: We feel the need to. There are times when we forget everything that we practiced and just play on stage, [but] then mess up the choreography. 10: The stage must be enjoyable for you. CL: It’s fun. Because you lose your mind a little when the music comes on. Dara: It’s most nerve-wracking right before going up on stage. Minzy: I don’t have a lot of stage experience yet so it’s amazing. 10: What advice do the unnis (older girls) give Minzy. Minzy: They say let’s work hard together. 10: Minzy begins the first part of “I Don’t Care”. You must have felt a sense of responsibility about the opening. Minzy: There was a bit of that. Because if the first button is threaded well, everything [else] falls into place (Korean idiom).